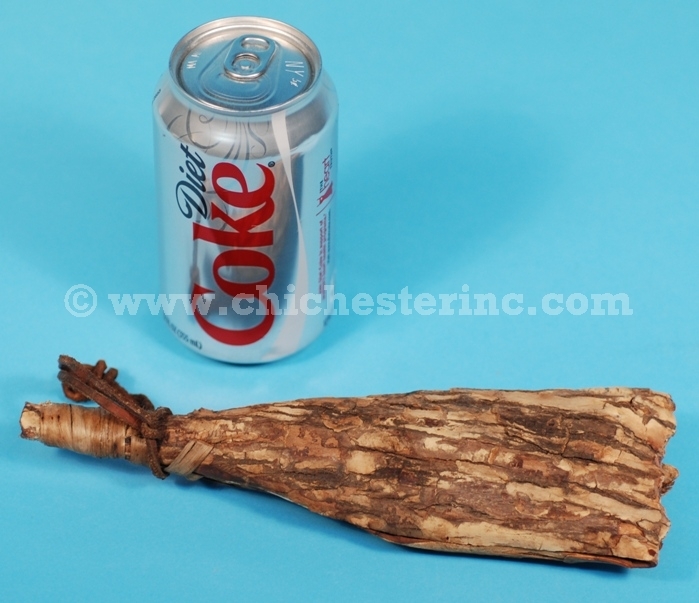 This rattle is made from elm bark with a cow leather strap. We bought it from a collector who was liquidating his collection of Native American arts and crafts. The age and artist is unknown. The rattle is 9" long, and 3" at the widest part.